My notes told me when sunset was and the exact mileage to the next stop, so I rushed my visit a little in Franconia Notch State Park to allow time to make it to Littleton, New Hampshire prior to darkness for this scene. 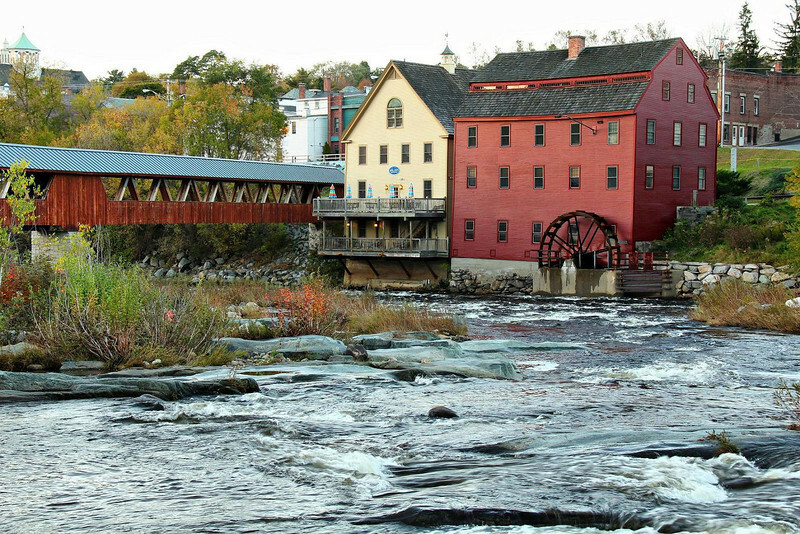 The Mill is right downtown and the adjacent covered bridge is one of the longest covered bridges I saw. The sun had already dropped below the horizon, but I was delighted I made it in time.